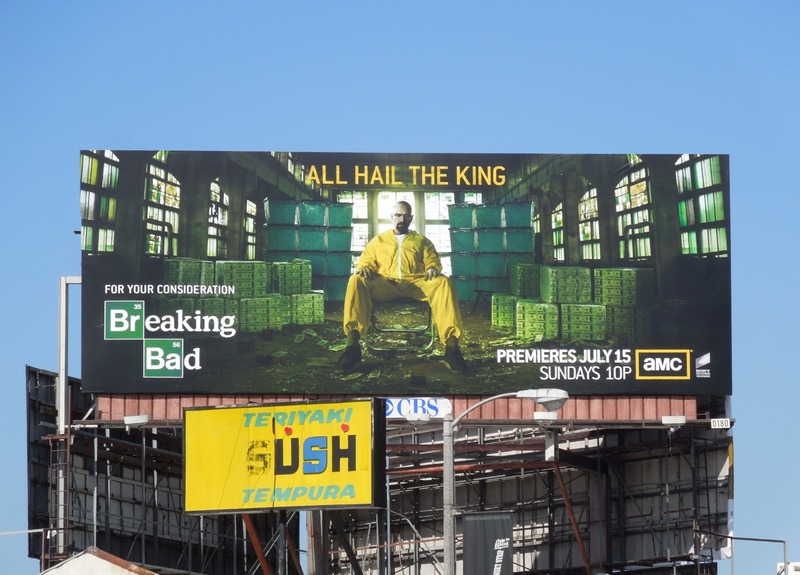 All hail the king of Breaking Bad. 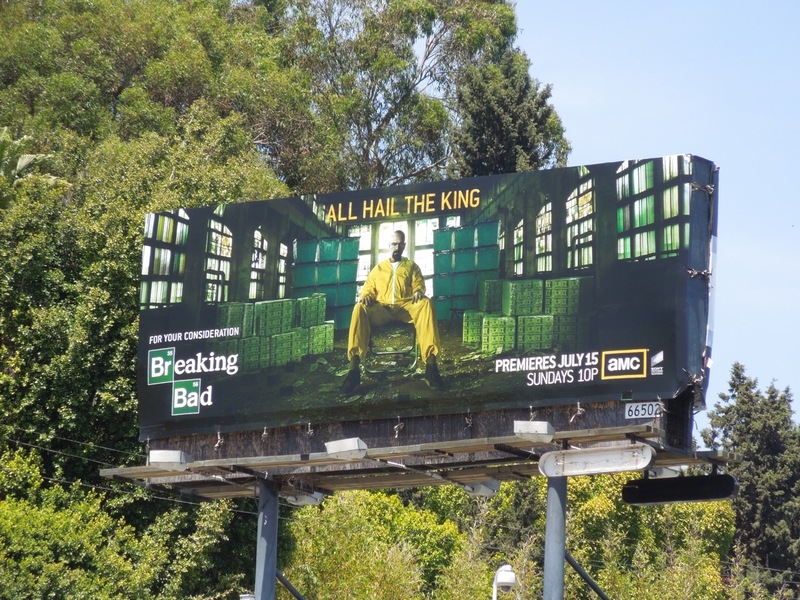 But does this refer to 'Walter White's' rise from mild-mannered chemistry teacher to kingpin of the drug trade or actor Bryan Cranston's reign at the Emmy's, taking home the Outstanding Lead Actor in a Drama Series award for 2008, 2009 and 2010. 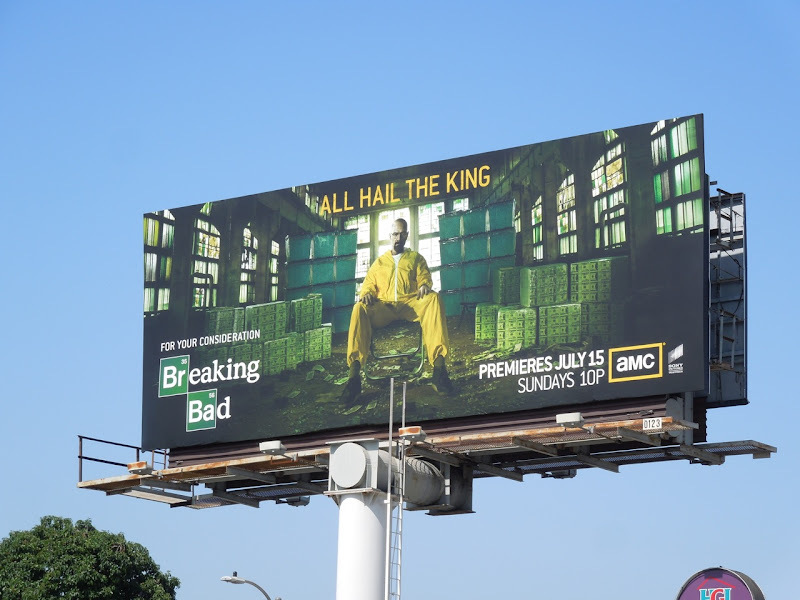 There's no doubt from the look of this striking fifth season billboard, that the highly-acclaimed series is going to go out with a bang in these final episodes. 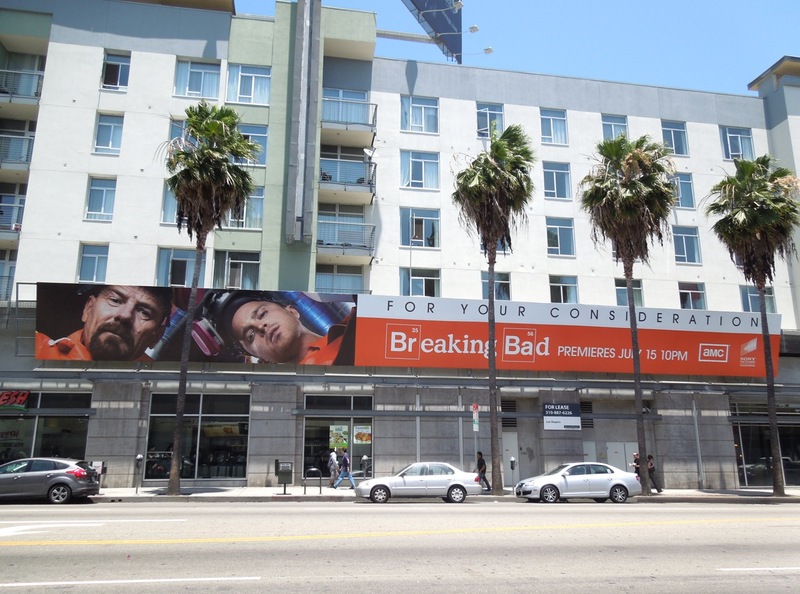 The season five billboards were snapped in several different locations and sizes along Sunset Boulevard, whilst the Emmy Consideration billboard was spotted at Sunset & Vine in Hollywood on June 8, 2012. 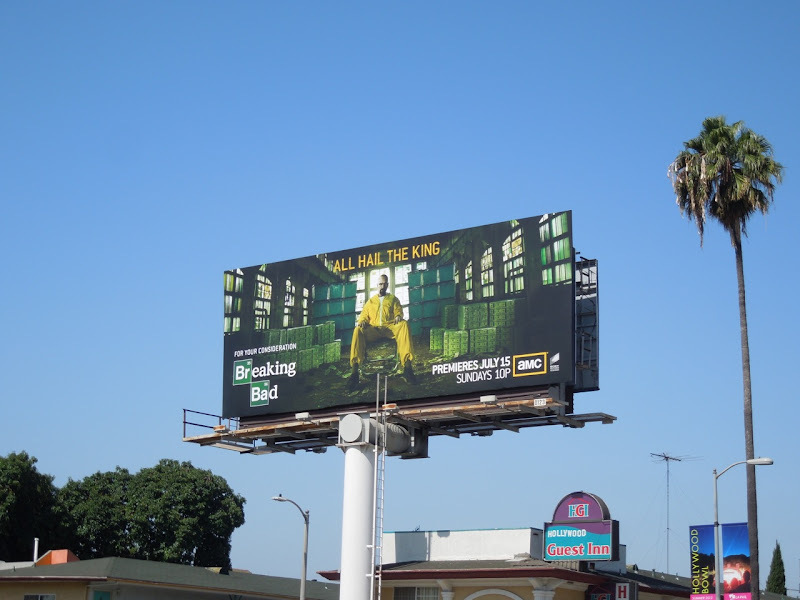 If you're a fan of the show, be sure to check out the season three and season four Breaking Bad billboard. With show's like Breaking Bad, Mad Men and The Walking Dead, AMC really does have some of the best dramatic television around at the moment. 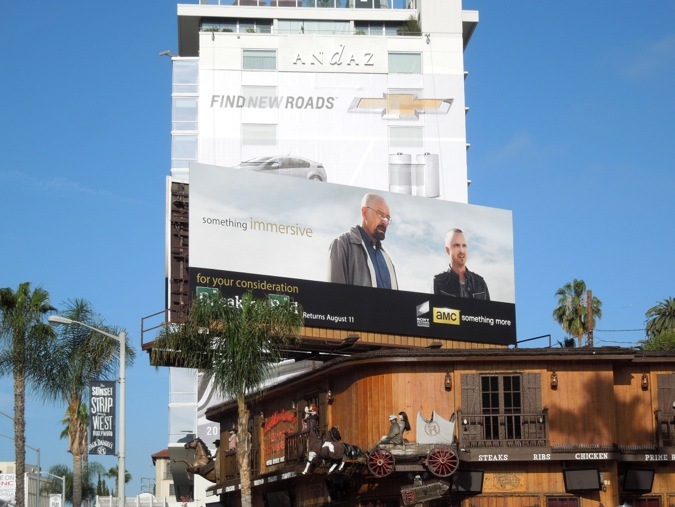 UPDATED: Here's a new Breaking Bad billboard to keep you entertained until the final episodes later this year. 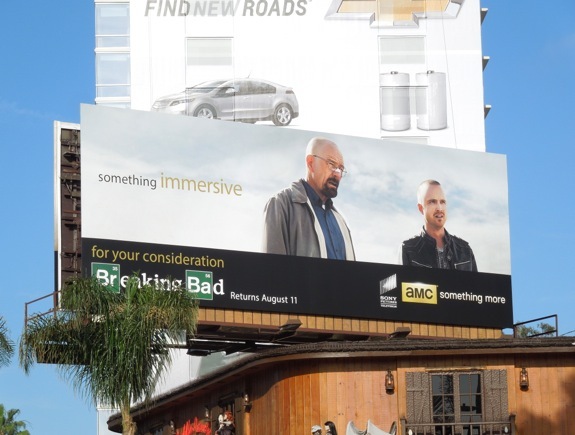 This Emmy Awards consideration billboard was snapped along Sunset Boulevard on May 14, 2013. 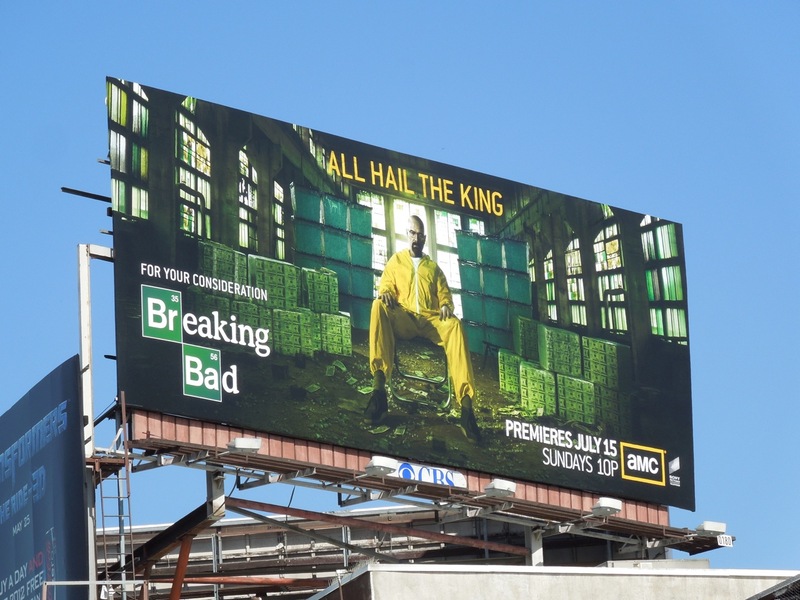 Both Bryan Cranston and Aaron Paul have taken home the Emmy for Outstanding Lead Actor and Supporting Actor respectively, can they do it again as the critically-acclaimed series nears its end.